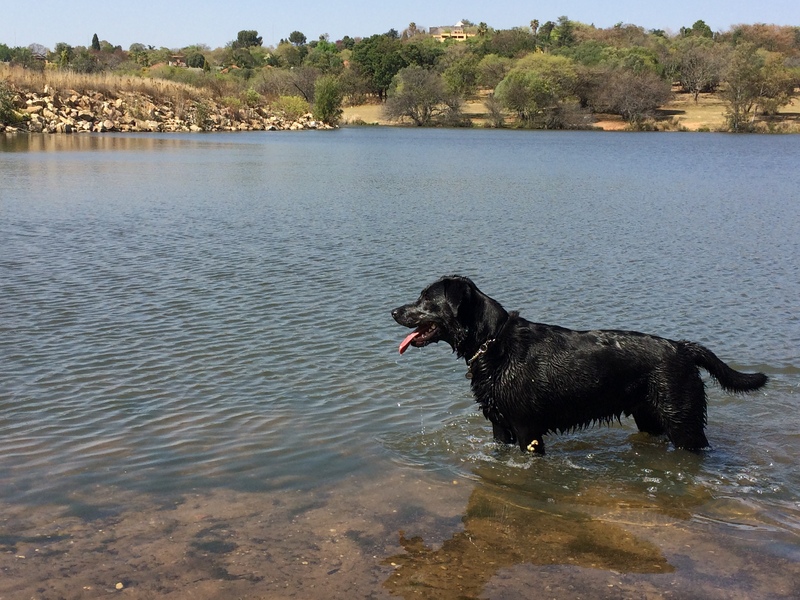 We went dog walking in Johannesburg this morning with some of our favorite pups. Molly May and Sam were very excited to get going today when they saw their walker, because they knew that today we were heading to the park! Going to the park means the dogs get to run around together and even have a swim. As soon as we got there, the dogs were itching to enjoy running around but were very obedient and waited for the command to go. Then it was off for an immediate sprint race, and then into the water of a nearby dam. 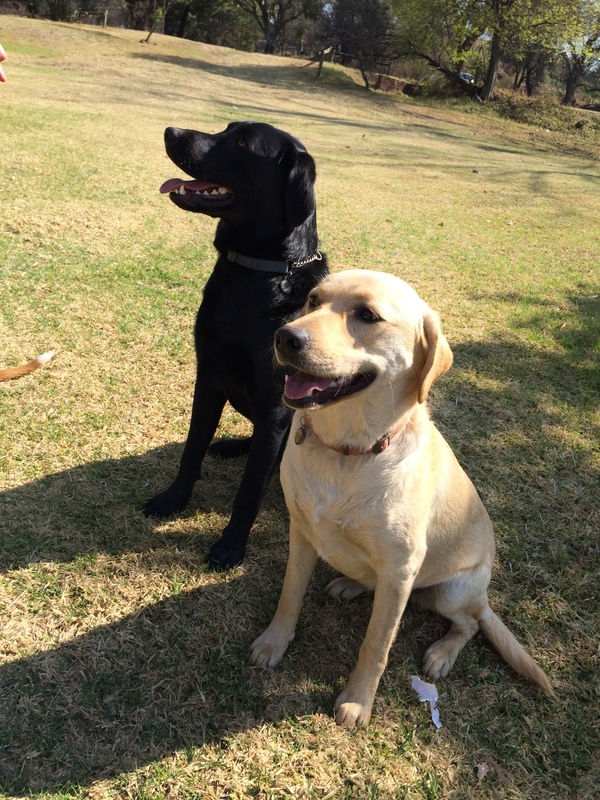 The two Labradors are very playful with each other, and like to give each other a hard time. They jumped in and out of the water and then explored more of the area before the pack moved on. We had Duke the Pit Bull with us today, which was really nice for the young labs to be able to socialize with an older, slightly more calm dog. 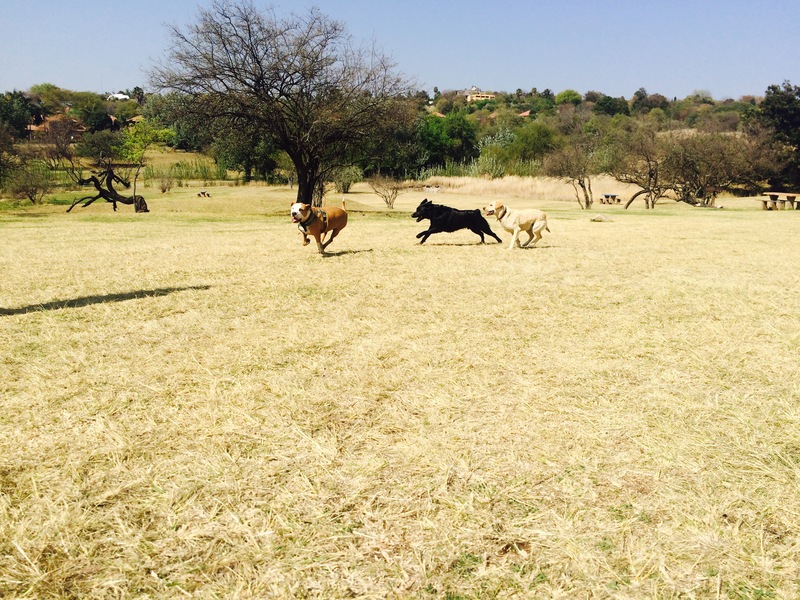 We then moved on to an open field where the dogs could explore together, and chase each other around. We then moved on to a very rocky area which the dogs didn’t seem to worry about too much, and they climbed it with ease. We came across a bigger dam, which the dogs immediately jumped into and had a good play around in. We love dog walking in Johannesburg, especially with these hounds, who make it so much fun for the walkers of #YourHound_SA. After enjoying some dam fun, it was time to head back. The dogs were not keen to be put back on their leads, but were very tired after all that fun. We can’t wait for more excitement at the park next week! 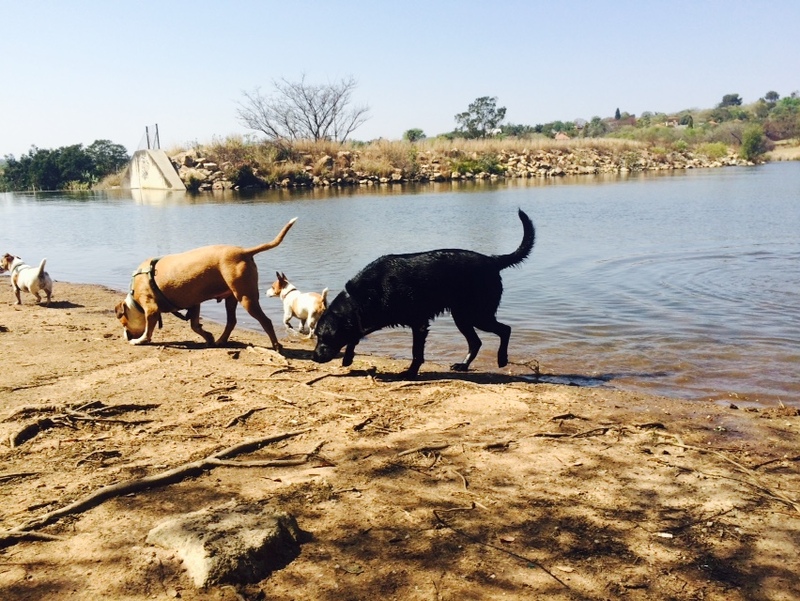 This entry was posted in Dog Walking and tagged #YourHound_SA, Dog walking, Early mornings, fit, fun, Happy Dogs, Johannesburg, Labradors, park, Pets, Socializing, Swimming Dogs. Bookmark the permalink.